Together with Smartly.io, TUI customized and automated an A/B test to understand their performance drivers on Facebook and Instagram. TUI Belgium is the market-leading tour operator in Belgium, serving over 2 million travelers each year. It is part of the largest travel, tourism, and leisure company in the world, which owns 6 European airlines and 9 European tour operators. Smartly.io and TUI Belgium ran an ad study to compare results from using the collection ad format compared to link ads which were had previously used in conversion campaigns. With Smartly.io's bespoke creative automation, each ad image was customized across the board with brand elements like the TUI logo and signature typography for hotel information.  Over a 10-day campaign in November 2017, TUI showed branded link ads and ads in the collection format to Custom Audiences created from TUI’s CRM (customer relationship management) data on past travel bookers and lookalike audiences based on recent bookers. Smartly.io gives us the ability to be relevant at scale, drive performance and still be able to give all of that a nice brand touch, either with automating campaign optimization or with Dynamic Image Templates." The 10-day campaign and ad study showed TUI Belgium a clear difference in results per ad type, with the collection ad format demonstrating higher engagement rates and at least half the booking cost of link ads. With this knowledge, TUI Belgium can now plan and create its direct response campaigns even more efficiently. As a result, they saw a three-fold increase in click-throughs and lowered their Cost-per-Booking by -58%.